Welcome to Dunn Tire Harborcreek! Meet our store manager Leiland Bennett and his team of trained professionals. . Stop by and get advice or assistance in the selection of your new tires. We also offer an extensive list of additional automotive services for your vehicle. Please check out our "Auto Services" tab listed above. Be sure to visit our Specials/Rebates page for all our current promotions. You can keep up with any community events and news by signing up for our E-Newsletter. 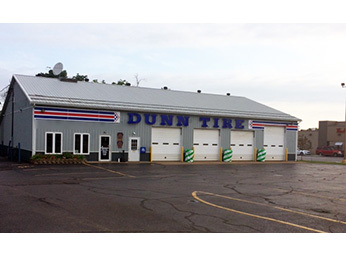 Don't wait to visit Dunn Tire Harborcreek! We want to be convenient to our customers so we offer an after-hours drop box. Just drop off your vehicle in our lot and place your keys in our key drop-box with the envelope provided. Surf the net or get some work done in our comfortable waiting area while getting your car serviced.